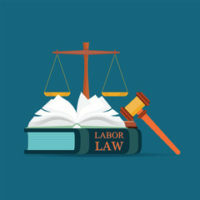 New York Construction Accidents: When Does Labor Law Section 240 Apply? Construction work carries inherent risk for workers as well as civilians passing by. Owners of construction sites are required to maintain certain safety standards for different types of construction projects in order to lessen the chance of construction accidents and injuries. When an injury occurs, it is important to know, based on what was happening when the accident occurred, what the correct standards of safety were in order to evaluate whether those safety standards were followed and, if not, whether the owner can be held liable for the victim’s injuries. New York Labor Law § 240 sets safety requirements for construction involving objects raised off the ground. The section is often invoked in lawsuits involving raised or suspended objects at construction sites that fall and cause injury to workers. Several recent appellate division cases have considered what sorts of accidents fall within the ambit of section 240. For example, Dirschneider v. Rolex Realty concerned a plaintiff construction worker who fell while helping to carry a 600-pound steel beam down a staircase. The First Department (covering Manhattan and the Bronx) found that moving the large steel beam presented clear “gravity-related risks of moving an extremely heavy object down a staircase” and that the premises were not equipped with proper safety measures, thus rendering the defendant realty company liable. Moving a heavy object down a staircase is clearly within section 240. Other cases are more difficult. If a worker successfully prevents an object from falling, but strains himself in the process, is the resulting injury “elevation-related” under section 240? And how high is high enough? In Smiley v Allgaier Construction, the plaintiff and a coworker were lifting a heavy motor four feet onto a scissor lift while working on a mechanical door. While changing his grip, the plaintiff lost control of the motor and nearly dropped it, and strained his shoulder in preventing the motor from falling. The plaintiff argued that they should not have had to lift the motor manually, but that the site was not properly equipped with hoists, pulleys, or other safety equipment. The court found that there were issues of fact as to the cause of the plaintiff’s injury but allowed the case to proceed to address whether the injury resulted from “a physically significant elevation differential” even though the object was only lifted four feet off the ground, and even though the injury resulted from stopping the object from falling. In contrast, the Second Department (including Staten Island, Brooklyn, Queens and Nassau and Suffolk counties) recently emphasized that section 240 does “not encompass any and all perils that may be connected in some tangential way with the effects of gravity.” After a worker tore tendons in his knee while carrying a heavy beam down a set of stairs, the court in Sullivan v. New York Athletic Club of City of New York found that such an injury resulted from the weight of the object and was not an “elevation-related hazard.” The court held that carrying heavy objects is a one of the “usual and ordinary dangers of the construction site” that does not give rise to liability under section 240. If you or a loved one has been injured in a New York construction accident, please contact Leandros A. Vrionedes, an experienced Manhattan construction injury attorney, for help making the right claims against the right parties, and, ultimately, obtaining maximum compensation for your injuries and damages. In Manhattan, call 212-889-9362, or in Queens, call 718-777-5895. Your consultation is free, and you owe nothing unless we recover on your behalf.